For those of you who are hopping right on the Lakers' bandwagon, you're going to need the right threads to really convince people you've been a Los Angeles fan for life. 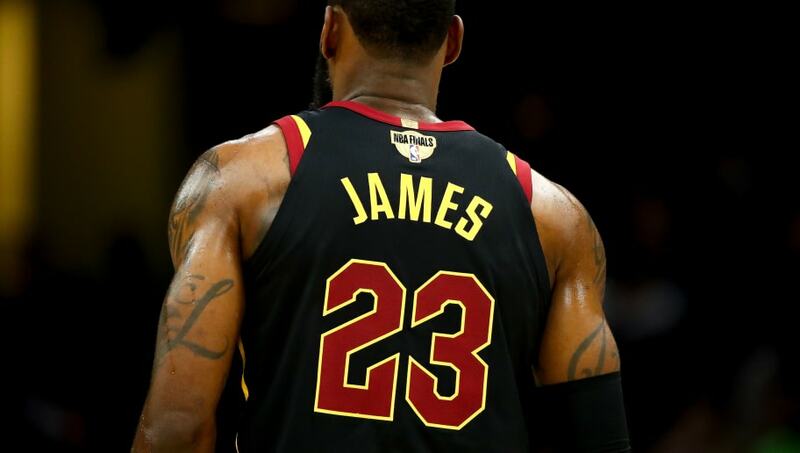 LeBron James is leaving the Cleveland Cavaliers once again. Unlike his departure when he headed to South Beach though, he'll be taking his number with him. James will wear No. 23 for the Lakers next season. ​​It's weird seeing him in a Lakers jersey, but at least we won't have to see him in a random number. LeBron's decision to head to L.A. turned the league upside down. He'll be suiting up for his third team, which would feel much weirder if this wasn't his first time abandoning the Cavaliers. All it means is that LeBron fans are going to have to get another jersey as they hop on yet another bandwagon. Of course, that's only if jerseys are still left. ​​He'll be in Los Angeles for a few years, so we'll see if he can do enough in that short period of time to have his number retired there.